Removes friction for faster playing while prolonging the life of your strings. 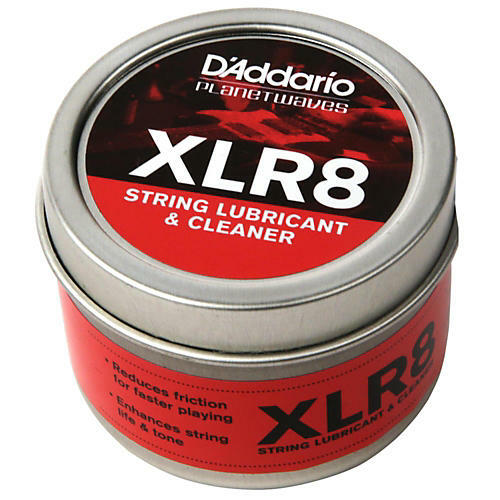 XLR8 is the fast and easy string lubricant and cleaner. XLR8 removes friction for faster playing while at the same time cleans your strings for prolonged life and fresh string tone. Simply take the ergonomic applicator and wipe up and down the strings and thats it. XLR8 will also condition the fretboard as it works. Maintain new string tone and feel while enjoying frictionless playing. Order today.